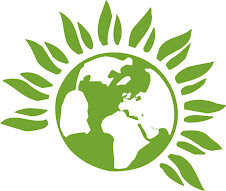 An idea emanating from Brighton and Hove Green party is creating a buzz around the whole Green party. There will be a motion debated at the party’s autumn conference on the subject which I hope will be supported and become a central policy tool for Greens in local government. To be clear, Green party national policy is for the introduction of a Land Value Tax for raising local revenue, but this would need a change in the law, which will only come when we get a Green government. It is also national policy to oppose the current austerity measures as pursued by the Coalition government and which is largely accepted by the Labour party. But again, we need to hold power nationally to affect this successfully. In the meantime, we need a credible strategy at local government level where we can and do (in Brighton and Hove) run local authorities, which is more than just implementing cuts as directed by national government, as we are at the moment. 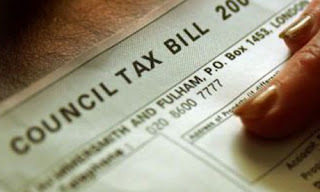 Progressive Council Tax (PCT) is the best idea that I have heard of for providing us with a distinctive and radical alternative to the present system of local taxation, which is controllable at local level. Then residents are required to apply for a reduction in the charge, which would be means tested, with around 80% of residents receiving a reduction, meaning most would actually pay less than now. For the other 20% who do not qualify for a reduction there will be steep increase in Council Tax. This is all based on residents’ income and ability to pay, which is perfectly fair and counter to the policies of the ConDem government. Vulnerable groups will get special help to ensure they pay only the correct amount. As a Green councillor in Brighton and Hove I am not in favour of this idea. Around 25% of households in the city are HMOs (houses of multiple occupancy) and rental prices are such that most young and low paid people are forced to share. A household where 3 or 4 people on low incomes are sharing could easily trigger the PCT £50,000 combined household earnings threshold, and, according to the architect of the scheme, this will hike up the council tax by 200%. Then there will be situations when a group renting a property whose combined incomes are just beneath the PCT accelerator threshold, but in order to afford the rent they need to fill the final bedroom. However, by doing so it will whack up the council tax and make the property unaffordable to rent. Another drawback of this scheme is where couples living together do not necessarily wish to reveal their earnings to each other. This intrusive means-tested scheme will force them to do just that. Even our MP has conceded that we won't win the referendum needed to implement this idea, which will not only mean that we have gratuitously wasted £250,000 of tax payers' money cynically testing an idea that we knew no one would buy into, we will have handed opposition parties a huge stick with which to beat us. All voters will recall, as they enter the polling booth in 2015, is that Greens want to hike up council tax by 200%. We can whistle good bye to the only Green MP held seat! I can understand the scepticism here, you always get that with a new idea, but this has been fully costed, including admin costs. Whether the voters will accept it? It would need a campaign to support it, through the trade unions and residents associations, but it is perfectly winnable. This has the potential to send shock waves throughout local government and even Westminster. Bring it on, I say. What's the alternative Geoffrey, just carry on like you are at present? As the architect of the scheme, I sent Geoffrey an update on the specific proposals for HMOs, lodgers and joint tenancies. These iron out the problems that Geoffrey speaks of. For clarification, no-one will hit the threshold and be liable for a big increase. Any increases are on a sliding scale. A drawback of sharing income details with your partner is not considered a drawback for Working Family Tax Credits, Housing Benefits, Council Tax Benefit or a myriad of other benefits. It should not be one rule for the poor and another rule for the rich. No property can be unaffordable to rent under the scheme. It is complete nonsense. I don't think he's read the whole report. We either face stupid Daily Mail headlines of 200% (even though not true for 97%) or the party not being able to sell cuts any better than a policy which cuts tax for the majority. We are anti-cuts Geoffrey. We musn't do the dirty work of the government.